Seven people lost a hand to set an “example” for other convicts. This comes a year after the Iranian parliament announced it would eliminate stoning and amputation sentences. Tehran (AsiaNews/Agencies) – More and more people are getting their hands chopped off in Iran. In the last few months, seven have had a hand amputated by the state to serve as an “example” for others, this despite the fact that Ali Shahrokhi, head of the Majlis judiciary committee, announced a year ago that the Iranian parliament (Majlis) would pass a bill to eliminate stoning and amputation sentences. The numbers cited by the Mehr news agency, which is affiliated with the Islamic Propaganda Organisation, are alarming. A thief’s hand was amputated at a prison in Yazd in accordance with a trial court order upheld by the Supreme Court. 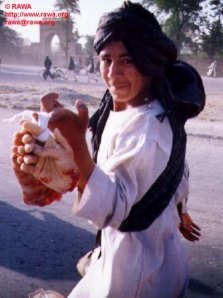 Mehr reported that the “professional thief’s” hand was amputated after the Yazd judiciary announced plans to implemented “harsher and firmer punishments” for crimes such as theft. The thief’s appeal was unsuccessful. Last week, a 21-year-old man’s hand was amputated after he stole items from a bakery. Two weeks ago, the Mashhad judiciary announced that the hand of a prisoner convicted of theft was amputated in prison and in front of other prisoners, as a future “warning”. About three months ago, five men in their mid-20s lost their hands to the axe after they were convicted on several counts of theft involving cattle and cars. Earlier this year, an Iranian daily reported that a thief was publicly executed in the city of Mahshahr, whilst his co-conspirator’s hand and foot were amputated in prison. The two men had been charged with removing transportation trucks from the Imam port, stealing their cargo, and abandoning the trucks.